When John Dowell sits down in an English country house to write the saddest story he ever heard, he knows only some of the passionate and tragic events which have passed. Slowly, as he writes, five tangled lives are presented to us. John Dowell and his wife Florence are wealthy, leisured Americans living on the Continent. Their close friends, Edward and Leonora Ashburnham, accompanied by their devoted niece, Nancy Rufford, seem the perfect English couple. But behind the Edwardian façade of elegant ease and correctness lurks secret layered upon secret. 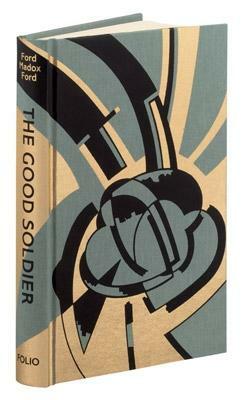 Ford himself called this, the only novel of mine that I considered … at all to count, and certainly it was an extraordinarily influential book for later writers, including Joseph Conrad, Henry James and Graham Greene, who found in its impressionistic and brilliant narrative techniques new ways to express themselves.